Sample Thesis Statements, cont. Good - The causes of the Civil War were economic, social, and political. Bad – The Civil War was a war between the north and the south. 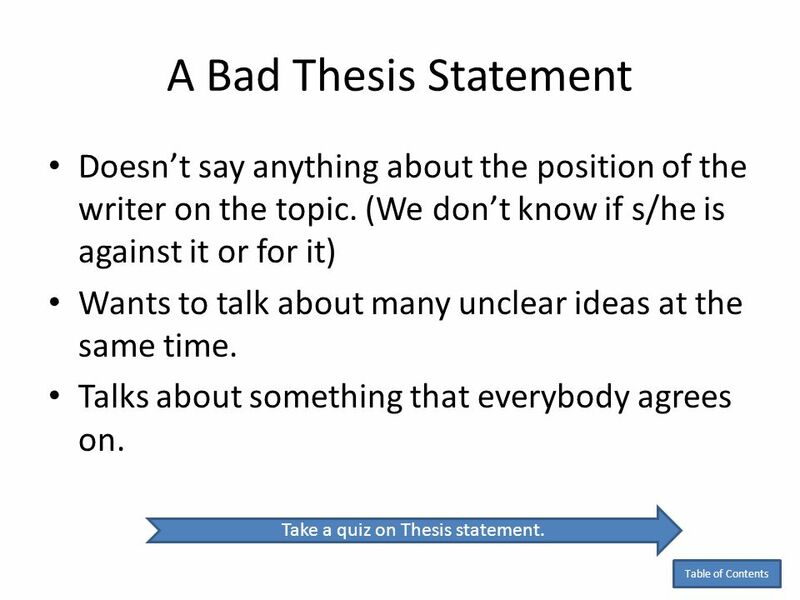 • Why is the 2nd one a bad thesis statement?